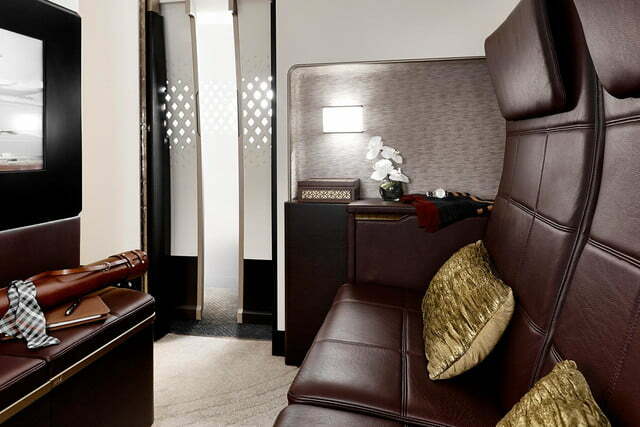 If you thought flying first class was pricey, wait till you hear about the service Etihad Airways just announced for passengers on its new fleet of Airbus A380 planes. 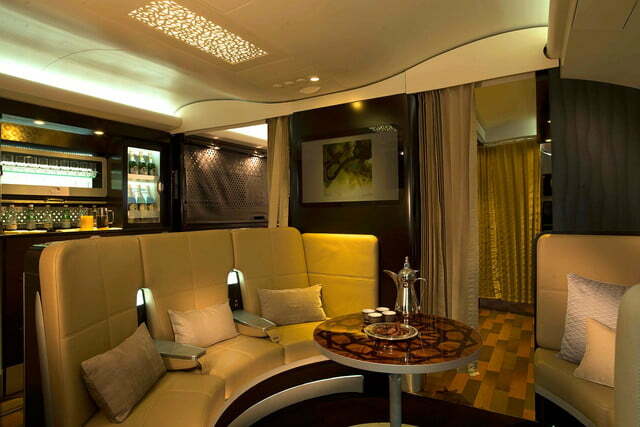 Called The Residence class, a flight between, say, its hub in Abu Dhabi to London will set you back around $20,000 – and to be clear, that’s one way. Of course, for that money you get a lot more than a flat bed and metal knife and fork. 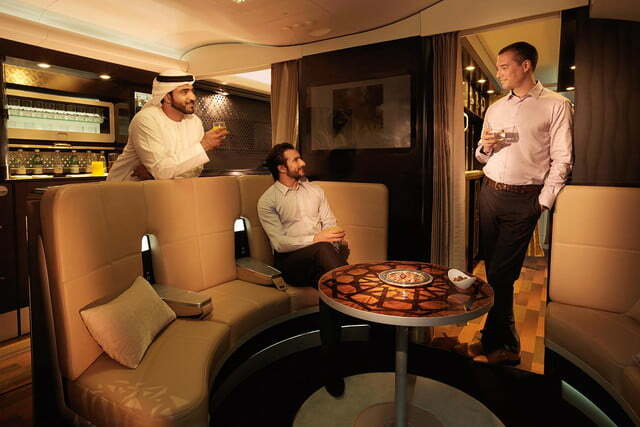 The United Arab Emirates airline claims to be offering the world’s first private multi-room cabin on a commercial passenger plane, amounting to what is essentially a flying apartment: on board you’ll find a living room, bedroom, and en-suite shower room. 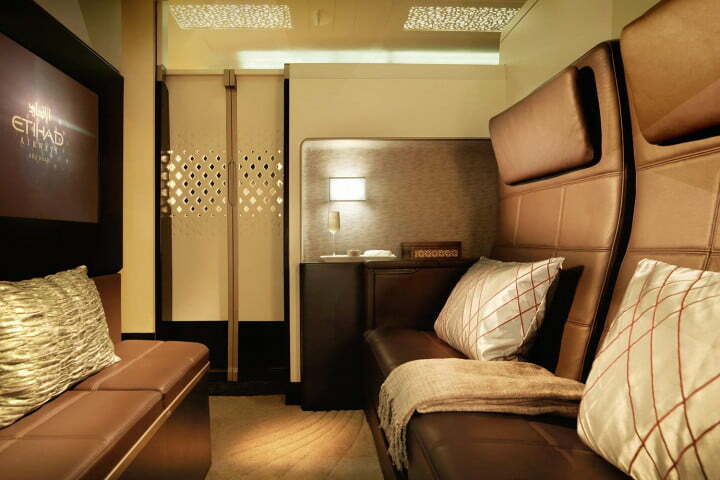 Covering an area of 11.61 square meters (125 square feet) and available to one or two well-heeled passengers at a time, The Residence is being incorporated into the upper deck of Etihad’s incoming fleet of Airbus A380 aircraft. The living room boasts a two-seat reclining sofa “upholstered in Poltrona Frau leather,” chilled mini bar, dining table, and a 32-inch LCD TV. 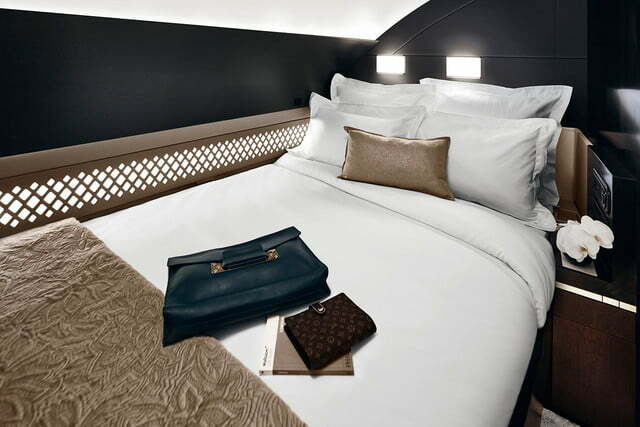 A touchscreen unit gives fliers full control over the suite’s mood lighting and window shading. It can also be used to adjust the seat’s position and firmness, as well as control the in-seat massage function. 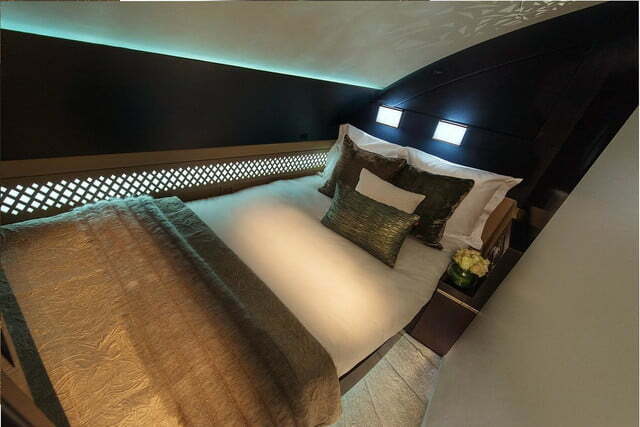 In the bedroom you’ll find an 82-inch-long bed with a 27-inch TV at the end of it. As you’d expect, The Residence is fully Wi-Fi enabled and comes with the latest Panasonic eX3 entertainment system, controlled via a touchscreen or handset. 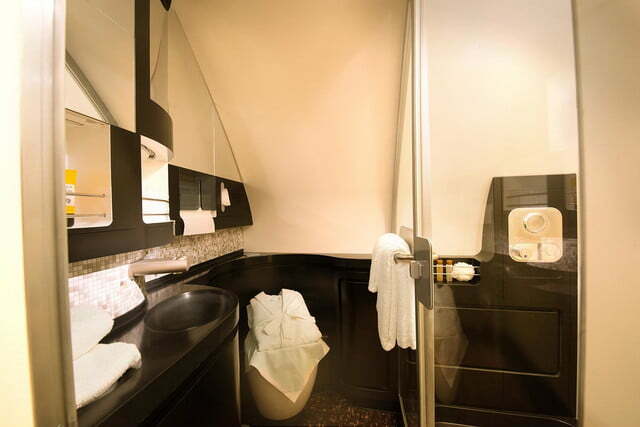 In addition – and apparently for the first time ever in the airline industry – you’ll be served by “a dedicated, trained butler,” though what they can offer over an adept flight attendant remains to be seen. The airline is planning to roll out its new service for high-end travelers in December, starting with the Abu Dhabi to London route. 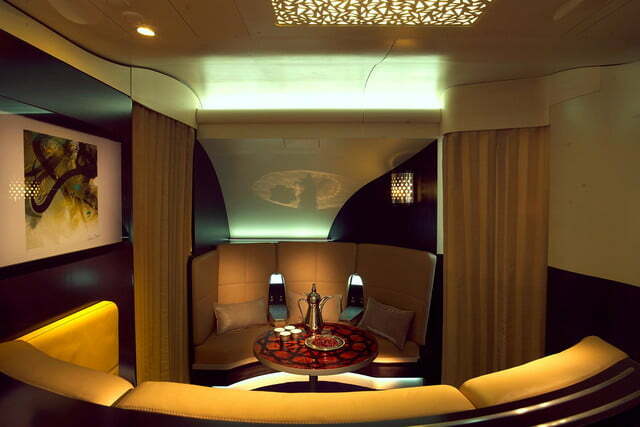 Good luck if you’re an economy class passenger hoping for an upgrade….